We offer coverage specific to your industry to provide the protection that’s right for you. As a business owner, you have enough on your mind without having to worry about your insurance needs. 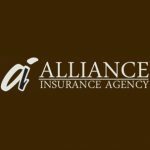 Let Alliance Insurance Agency give you confidence that the your business is covered by a company that understands your business insurance needs.